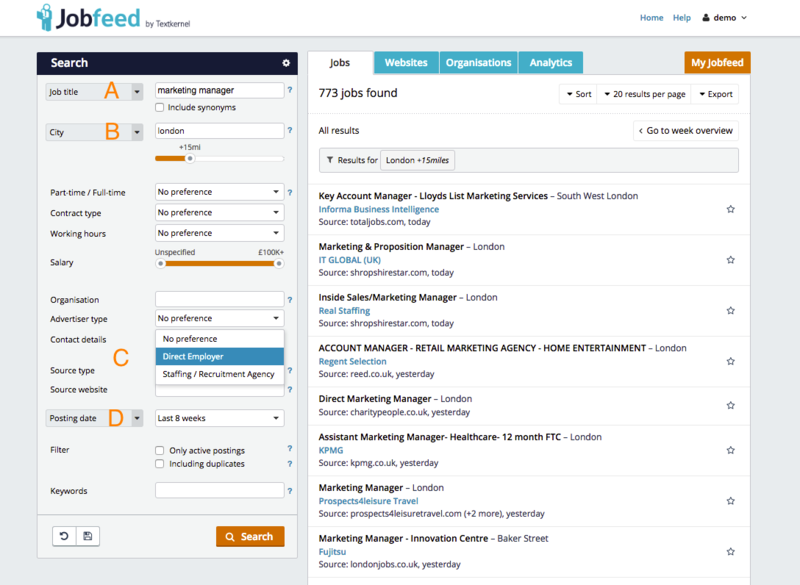 In Jobfeed you can easily search the online job ads by criteria such as job title, profession (jobs, synonyms and related professions), place + radius, organisation and website. 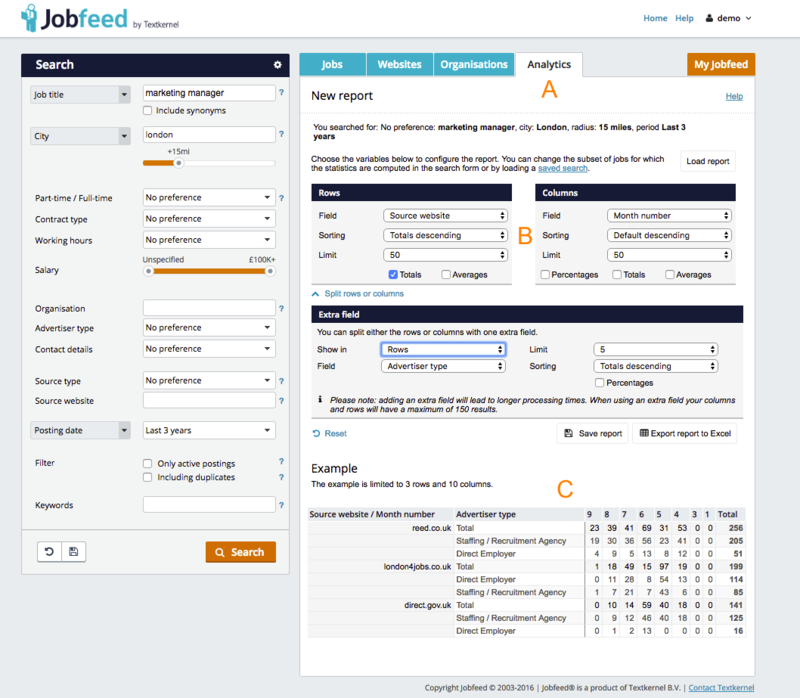 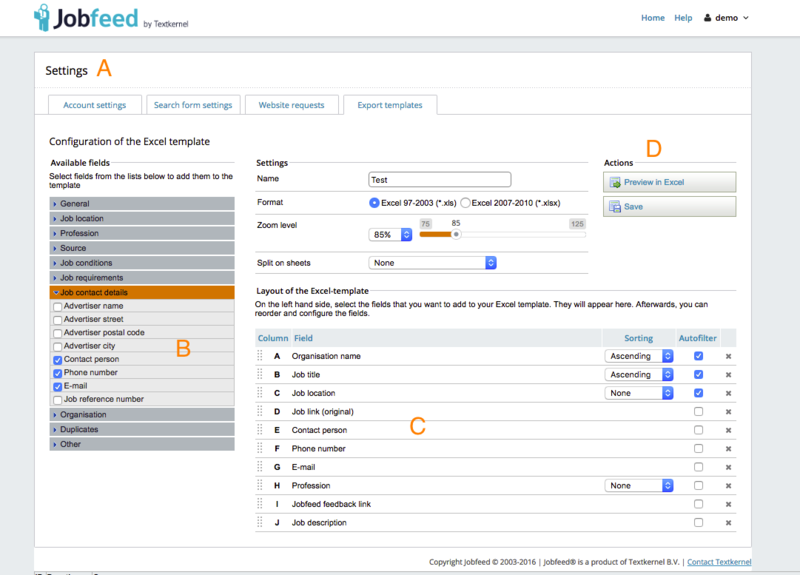 Jobfeed draws a distinction between jobs of intermediaries and jobs of direct employers. 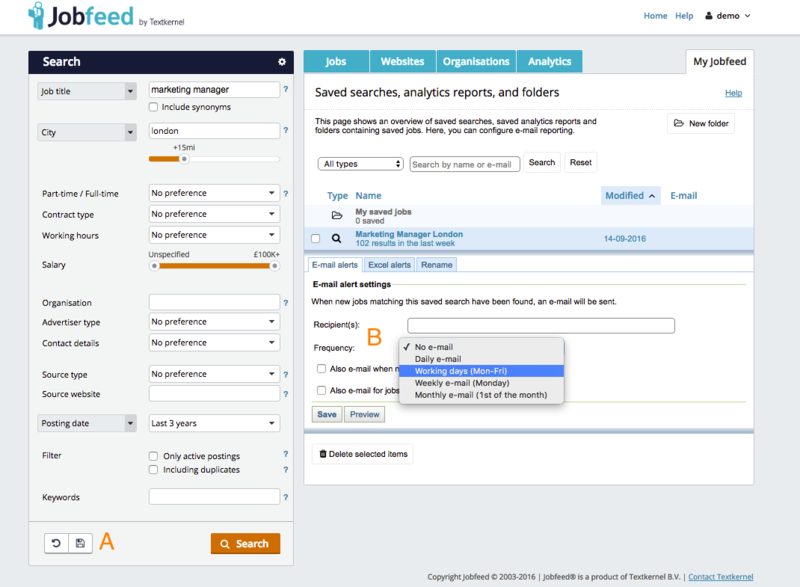 You can filter these in the portal.